PLAYING WITH A SMILE ON YOUR FACE!!!!! Frank Pritchard is ‘Box Office’ The smiling started with him, spread to the rest of the Polynesian brotherhood and by three quarter time it was everywhere across the terraces except of course at the north end. 60-20, what can you say really??? Well, I guess you can start with, “It was only a friendly! !” but then again I have to say, in fear of getting shot down straight away, something special did happen between about 2-10 and 3-30 yesterday. Ok, we started a bit ‘ring-rusty’ as Rovers game time last week showed through and we finished somewhat in disarray through too many substitutions and players playing out of position, but in between it was just a great show of power rugby. There were some marvellous performances and all that with Talanoa and Ellis still to come back!! I am its fair to say, very pleased that one is out of the way without any major injuries and we can now look and work towards the first game of the 2016 Super League season in just 11 days time. We can as well, do it safe in the knowledge that although we won’t win every game, there’s a very good chance that for the first time in ages, were going to be bloody entertained. The whole game yesterday was played in a carnival atmosphere that started on the field and spread throughout the stadium. The Hull Daily Mail headline on Friday read, ‘Scott Taylor: There’s something special bubbling at Hull FC’ and after that showing, any of you who were there yesterday will find that hard to argue with! Well that was a great afternoon out, with some rugby to watch again, a competitive match, many old friends to meet and a good laugh with those around me! For a first run out from a line up that was little more than our Under 23’s, it was a good showing and although we were never troubled by a South Yorkshire outfit behind us in their preparation, they gave us a hard game, stuck at it and tackled tenaciously. It was a game that also did nothing at all to temper the fervour with which I look forward to the new season and in fact, I had a great time. It’s not been all good news this week however and in this Diary I look in some depth at the implications of ‘The Case of the Missing Season Ticket Holders’ but that is in no way an indication of me not being either positive or excited about the new season, because I certainly am. Yesterday just cranked that up a notch for me but our ticket sales deficit was a strange thing to announce just at a time when we are all gearing up for the big kick off. We all need to be positive now and not have worrying issues like dwindling interest from previously regular attendees throwing spanners in the works! Soon the wait for some proper rugby will be over, as we look to the weekend and what is now our only ‘no pressure’ warm up game before the season starts. With less than 4 weeks to go to the big kick off and the Salford opener and still not a pre-season match under our belts, this coming weekend at Doncaster is critical to our build up. The weather forecast as I write this shows a colder week with night frosts, but a couple of Doncaster football fans I know told me that they do have a cover, so we have to hope against hope that it will be on. We desperately need a run out before the ‘Phoney’ Derby and ‘us lot’ on the terraces need a game to whet our appetites again. Quite frankly I’m really looking forward to it and to seeing a lot of old pals again in the crowd, but I guess as usual we are very much in the hands of the weather and with Doncaster Rovers at home the day before to Gillingham, the pitch might be a slight concern going into this weekend. Still, let’s just hope the game is on and a lot of our fringe players get a run out, however with the derby the following week and a long season ahead, I still wouldn’t be risking too many of our starting 13 myself, would you? A HAPPY NEW YEAR AND HERES TO A GREAT AND SUCCESSFUL 2016 FOR US ALL!!! Well, that’s the positive stuff out of the way, or is it, because with a new year, a new season and some great signings on board we have to be a bit optimistic about a new start don’t we? But where exactly are we heading as a Club? Every year it seems we are good at the aspiration and anticipation bit, but surely this has to be the campaign when we show some improvement or at least do something to ignite the fans enthusiasm again? 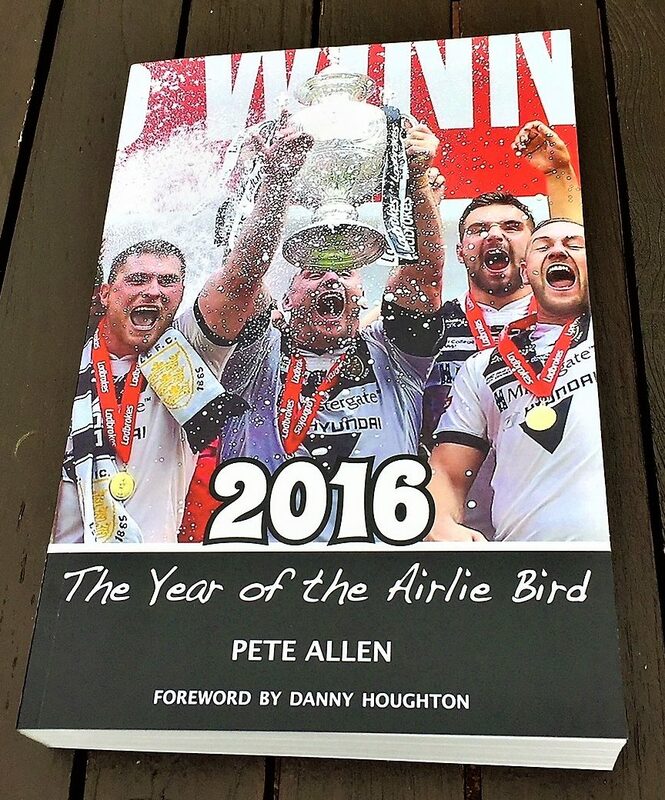 There is little doubt anyway that the advent of 2016 heralds a critical 12 months for Hull FC and several other Clubs in the competition. I say that because it’s a period, I think, when we have to show an improvement and when economics across the sport dictate that we must get more ‘bums back on seats’, particularly at the KC. Although we as the FC Faithful are all optimistic, the team simply must stoke the fires of enthusiasm and do something on the pitch to excite the fans again! Why? Well, because we have to make some progress as a Club attendance wise and thus help end a decline that at present sees us still losing money hand over fist. That’s the challenge for this year, which although only taking up a few lines in here is a massive ask for the owner, the players, the Coach and of course us lot the long suffering fans. We, the supporters, will always rally round, yet a dip in season ticket sales mainly amongst older supporters demonstrates that even the most long suffering are losing patience and that has to be a real worry. As for the owner, well he still shows no sign of shirking his responsibility to subsidise the Club and at least for now his continuing isn’t a concern. Therefore the critical bit is in between the owner and the customers, where the Coach and players simply have to get the product bit right! Easy to say I know, but with all Clubs strengthening and the potential of injuries always a worry, it will be something that is very hard to deliver; although this time around, I think we simply have to! So, as we enter the first week of January with bags of hope, that’s the challenge and only what unfolds in the coming months will indicate if at long last we are up to it. Talking to several pals over the weekend I have to say that the faith and anticipation is, as always, there in abundance, however as the season approaches uncertainty may yet be sold a season ticket; such is its presence on the terraces!! !